Gelsenkirchen - FC Schalke 04 have announced the signing of Brazilian international Michel Bastos on loan from French side Olympique Lyonnais until the end of next season. The Royal Blues have negotiated an option to buy the left-sided defender or midfielder should the loan spell prove successful. Bastos will wear the No9 shirt. 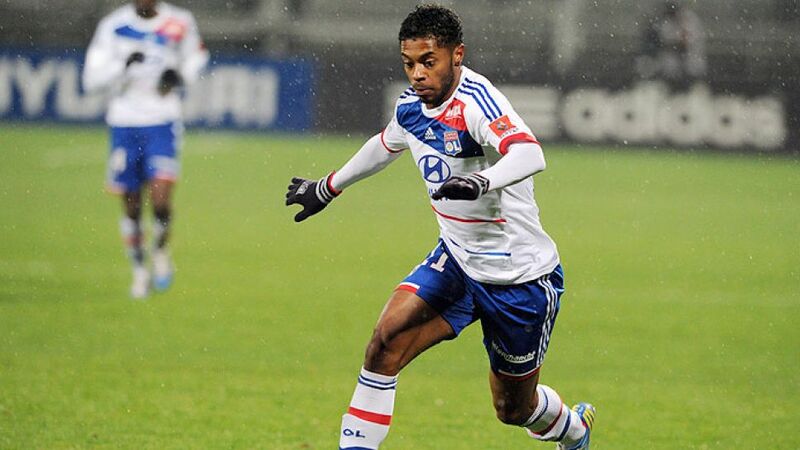 "We're delighted that Michel Bastos is joining us," said S04 sporting director Horst Heldt. "He's an internationally experienced player with the skills to improve our game immediately. He's also eligible to play in the Champions League." Bastos, who also holds French citizenship, began his career in 2001 with Dutch outfit Feyenoord Rotterdam and gained valuable first-team experience on loan at newly-promoted Excelsior Rotterdam the following year. In 2003 he returned to his homeland with Atletico Paranaense and enjoyed further loan spells at Gremio Porto Alegre (2004) and Figueirense FC (2005). He then returned to Europe for the 2006/07 season with French club LOSC Lille, for whom he made 98 Ligue 1 appearances and scored 25 goals before joining Lyon in 2009/10. There he also made 98 league appearances, scoring 26 goals, five of which came in the first half of the current campaign. The 29-year-old also made a combined total of 29 UEFA Champions League appearances for Lille and Lyon, as well as one game in the UEFA Europa League for the latter this term. Bastos has won ten caps for the Brazilian national team - five at the 2010 FIFA World Cup in South Africa.